Today we’re thrilled to announce a new class of historical Total War game on PC. 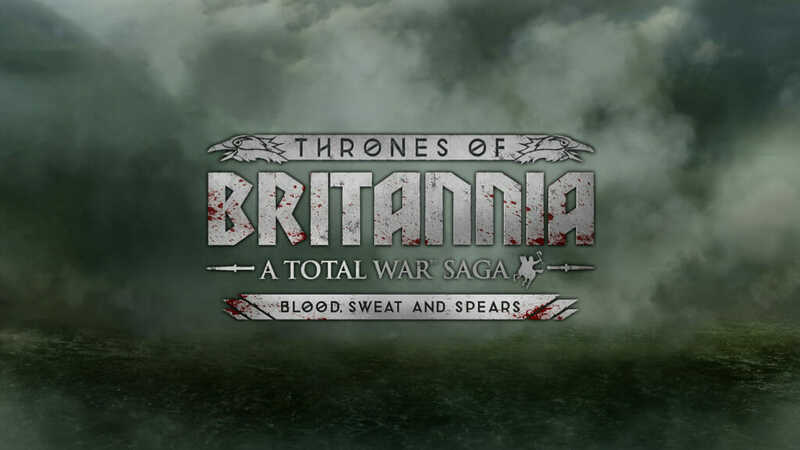 Released under a new badge, Total War Saga games will be standalone spin-off titles focusing on exciting pivotal moments in history rather than whole historical eras. I sat down with the game director on our first Total War Saga game, Jack Lusted, to find out what kind of Total War experience fans can expect from his team. Michael: So what makes a game a “Total War Saga”? Jack: With our big releases that cover entire eras, like Rome or Empire, we’ve been following them up with standalone games that focus on a single character’s life and the time around them; like Napoleon or Attila. But there are also these key, pivotal points in history which don’t necessarily revolve around a single character, and only lasted a few months or few decades at most. Such moments also tend to be constrained to a tight geographic area as well. These moments are perfect fuel for Total War. They’re a powder keg, where anything can happen and history could have gone in any direction. Sagas are epic stories, and we felt that name described those moments well, and allows us to go into the kind of individual detail we love. So, Total War Saga games will be the same mix of turn-based campaign strategy, real-time battle tactics and hundreds if not thousands of hours of gameplay as a regular Total War game, but focussed down on a distinct moment. Sagas won’t be revolutionary new titles or introduce brand-new eras; they’ll follow-on from previous Total War games and inhabit the same time-period, or at the very least relate to it. But these are certainly Total War games. We’ve got more games in production than we’ve ever had before, and historical games form the majority of our forthcoming releases. We thought that badging these “A Total War Saga” would help players understand that they are a spin-off and not the next major title. Michael: How is this different to previous Total War games? Jack: In terms of core gameplay, it’s not. If you’ve enjoyed previous games, you’ll certainly be interested in Total War Saga games. It’s more about focus. There might be as many playable factions or conquerable territories in them, but that could all be focussed down to one specific region or country and a particular point in time. In fact, we’ve done it before. Fall of the Samurai is exactly the kind of thing we’re talking about here. 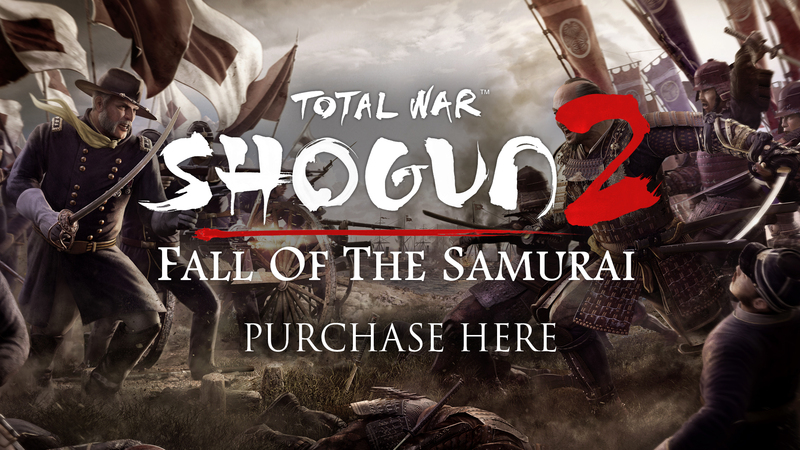 It was a standalone spin-off from Total War: SHOGUN 2, focussed on the pivotal event of the Boshin War. A concentrated Total War game which puts you right in the middle of a really dynamic moment of history, where the outcome could have gone in a huge number of different directions. If you liked Fall of the Samurai, and the kind of gameplay we delivered with it, then you’re going to enjoy what we’ve got planned for our first Saga title. But it’s important to say that it isn’t our next major historical release. It is an iteration on a previous game, built on something we’ve already released. Michael: In our recent blog post, we told fans that two historical games are currently in development. Where does your team’s game sit within that? Jack: Our team is the Flashpoint project team mentioned in that blog, and our game will be out first. The other game is our next major historical game, with its own large and dedicated team, and will feature a new era we haven’t visited yet. That’s a huge title for CA and we’ll be talking about it much more in the future. It’s going to be a busy time for historical fans coming up. Michael: What’s the scope of this Total War Saga game? How big will it be? Jack: When we talk about games based around these moments in history that lasted months or years, we don’t mean short Total War games. They’ll have a narrower focus, but they will still be the epic sandboxes players are familiar with. Again, Fall of the Samurai is a perfect example of this. The period covered in that game was compressed down to a few months but a lot happened within those months. 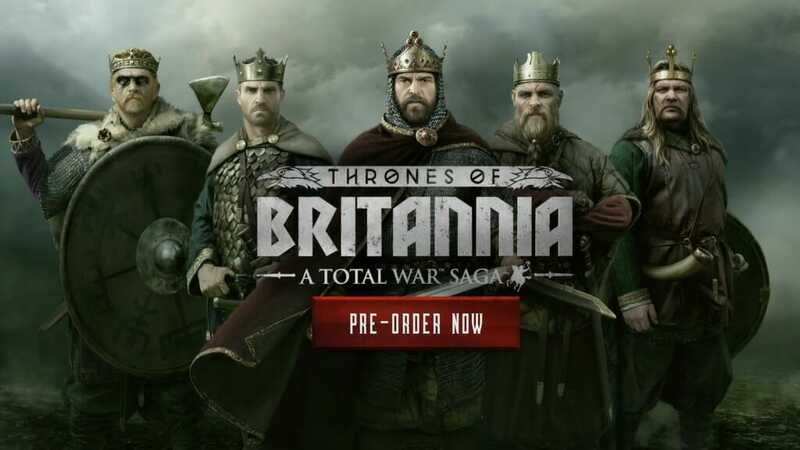 Future Total War Saga games may also cover time periods that short where a lot happens, while others may cover conflicts spanning a couple of decades but still focused on a single geographic area. To help show the kind of scale we’re talking about, the game that I’m currently working on has a map that is comparable in gameplay size to Total War: ATTILA, but focused on a smaller geographic area, and the campaign will take as long to complete as any other Total War title does. Focusing on a single geographic location in this way allows us to go into greater detail with the period and setting. Michael: Why is the focus on succinct but substantial moments in history important for you? Jack: They’re what I like to call table-flip moments in history, where events are in the balance and could go any number of interesting and unique ways. This makes them a perfect fit for Total War games, where we give players the freedom to depart from the actual historical events and explore what might have happened had things gone differently. When you think of the possibilities in and around those moments, some of those really classic and inspiring moments of history, there’s vast potential. Civil wars, great conquests, rebellions and uprisings, religious movements. As with Total War traditionally, there’s an almost endless list of possibilities of time periods and settings for future Total War Saga games. Michael: Any hints yet as to the content? Why did you want to make a game based at this particular point in history? Michael: When can we expect to get more information on your project? Jack: Not just yet, but pretty soon as I say, if you follow the forums and social media we will keep you up to date! Join the discussion on our official forums here!